Simple template (3 columns). Designed to be easily modifiable and a base for building fluid templates that follow a 960 grid system in a responsive environment. 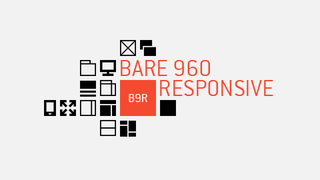 This website (and all our projects) is built with Bare 960 Responsive. 2 styles to jump-start from. Copy and create your own!